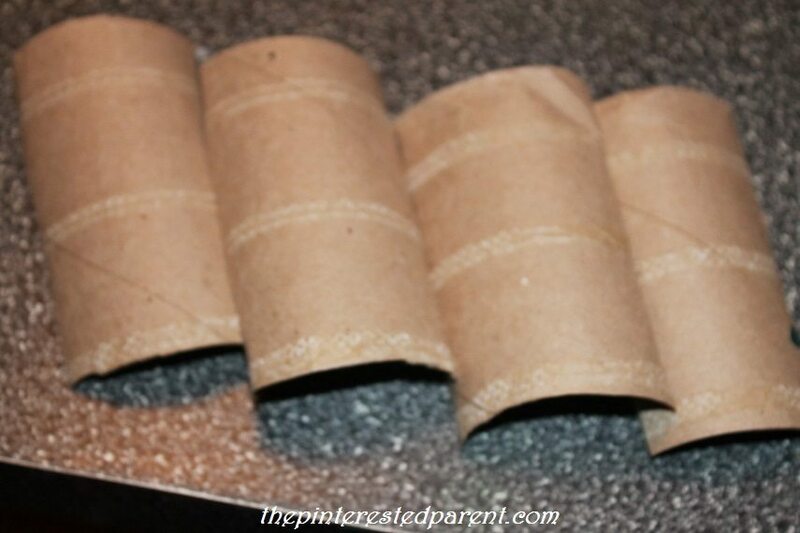 Cut two cardboard tubes in half like shown. Line up the 4 pieces side by side so that they line up straight next to each other. 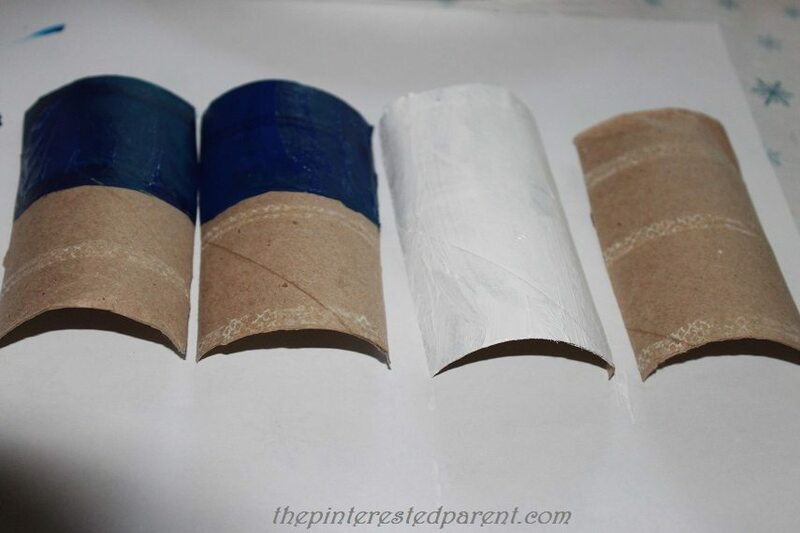 Paint the American flag across the 4 pieces of cardboard tube and set them aside to let them dry. 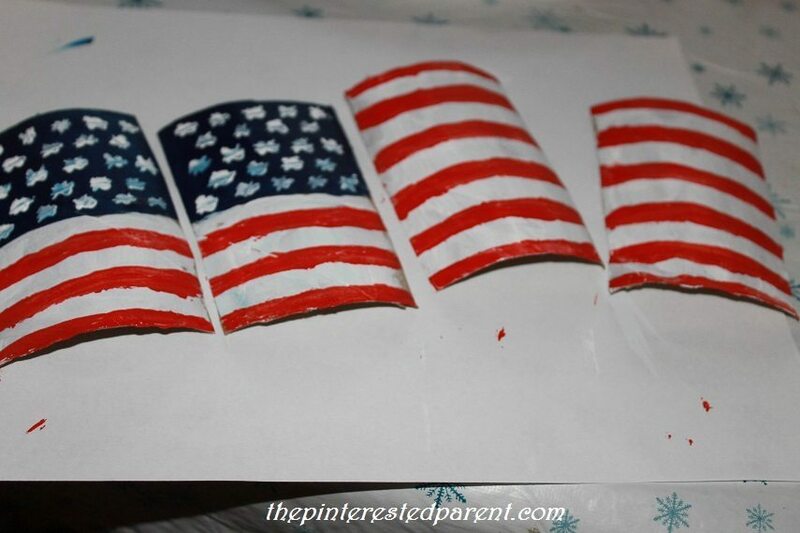 Glue the flag piece furthest to the right to the right hand side of a piece of paper. Leave a couple of inches of space from the top. Overlap the next piece over the first piece. Make sure to place it just a little bit higher and to the left as shown. Continue to place and overlap the other two flag pieces in this same manner. 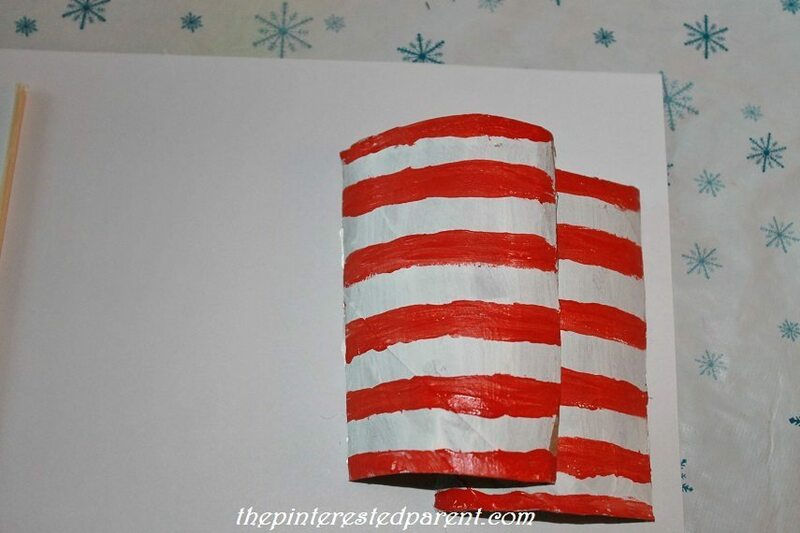 Glue a wooden skewer to the paper to the left of the flag for the flag pole to finish it off. You can paint a sky or fireworks around your flag too. Have a happy and safe 4th everyone.